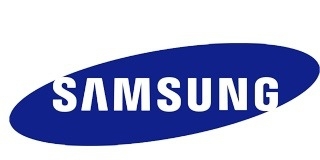 "Samsung Electronics Co., Ltd, a global leader in mobile technology, today announced an agreement to use the Windows Phone 7 platform and related application software as a key component of the Samsung smartphone portfolio." It seems that almost every day now we are hearing about another vendor's plans for Windows Phone 7. Gizmodo has posted a Samsung-issued press release describing their intention to make the Windows Phone 7 platform a "key component of the Samsung smartphone portfolio". They highlight their long-standing commitment to the new platform, and reveal that several phones will be released in Europe, the US, and Asia in 2010. It's been hard not to miss the big play Samsung has made in the last few months with their Android-based phones and their upcoming tablet. Perhaps this is the start of a build up to more visible support for Windows Phone 7. If we see three or more phones before the end of the year, that is indeed a significant start.